The nifty little typewriter in this review originated in 1941 and was passed down to a granddaughter from a grandfather who served in World War II. 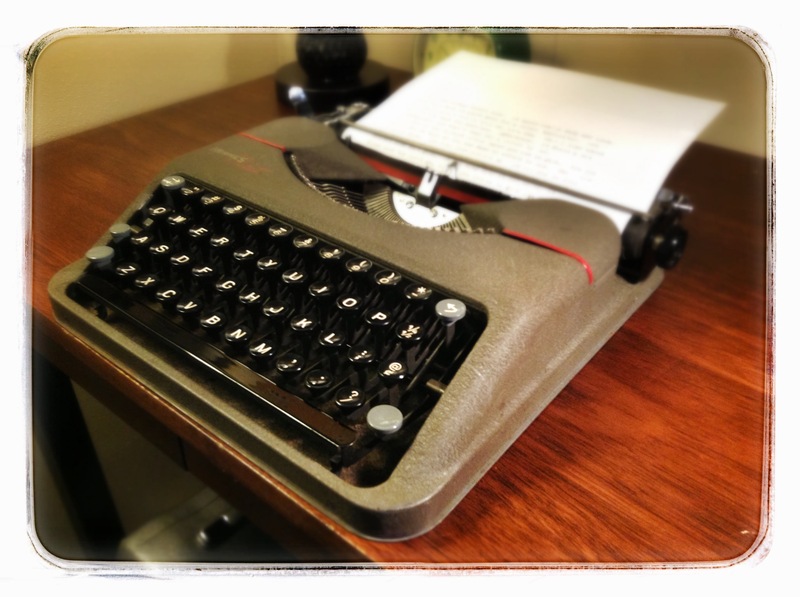 I can see this little typewriter rumbling over the fields of northern France and Belgium in the back of a Willy Jeep. This is a field reporters machine. It’s got all the looks of military issue ordnance. 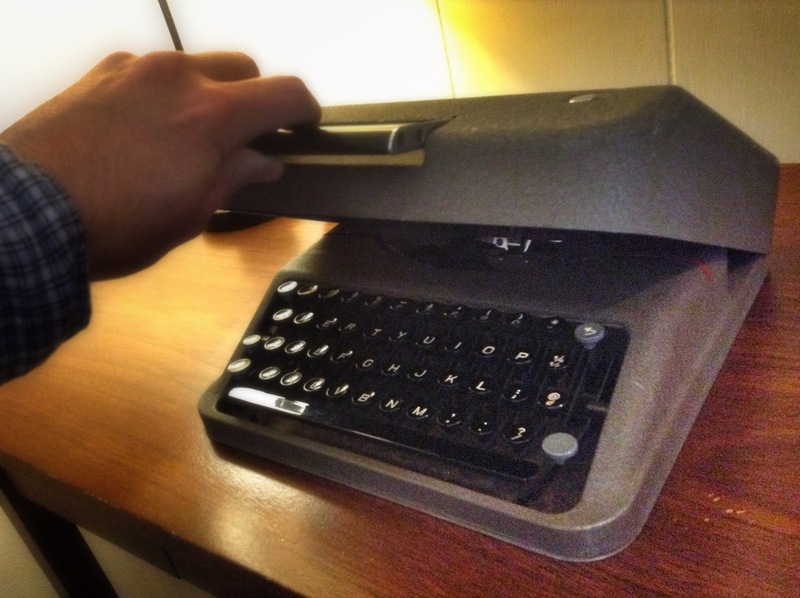 This typewriter is small and could easily fit in your rucksack. 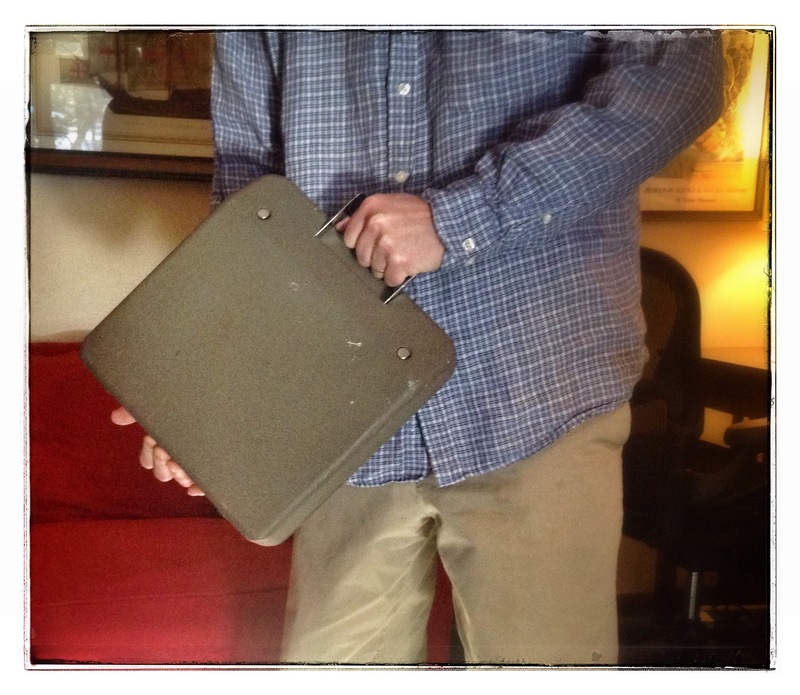 And with an all steel, snap-on cover, it’s ready for a jaunt to the coffee shop or in a saddle bag slung across a camel’s back for a trek across the Sahara. As a comparison, here’s how it stacks up against two Olivettis. The largest one is the Studio 44, while the other is the Lettera 32. While the Hermes lacks the refined exterior of an Olivetti, it has the smooth, inner-workings of a fine Swiss watch. When typing, the typebars fly with a feathery lightness, yet make solid contact with the platen. Be sure to have a grippy pad underneath this machine, because it lacks any rubber feet to keep it in place. The bottom is fully enclosed, which makes it extra squirrely on most surfaces. But once you get it anchored, get ready to take off. This little rocket soars. About the only thing that slows you down is the stubby carriage return lever. You can barely get more than two fingers on this thing, plus you need to give it an extra nudge at the return to advance the paper. But Hermes has designed this typewriter with compactness in mind, and the carriage return lever smartly folds up so you can get the cover snapped on. The model I used didn’t have a paper holder in the back, so the paper flopped over the back. But then again, this typewriter was meant to turn out short dispatches from far-flung places. Rolling paper into the platen sounds like clicking ammo into an M4 carbine magazine. Once you’re locked and loaded, it’d take a typhoon to rip the paper out. Overall, this is the most rugged ultra-portable out there. It’s snap-on case and integrated handle, make this an ideal travel companion. Great review, thanks for taking the time to share this. Very informative. I have the Hermes Rocket typewriter, any idea what they are worth? Check out eBay or Etsy and see what they’re going for. Much depends on condition. A one in extra clean condition can fetch $200-250. Thank you, I’ll check that out. I have a Baby with the exact color scheme and keyboard (including two foreign currencies), but it has a paper holder. The universal bar makes this a tricky machine to use. The keys on the farthest edges of the keyboard require a disproportionate amount of force to make clear impressions with. I wrote a 3500 word short story on mine and it took quite a while. Mine was purchased from an estate liquidation business. I found a homemade ID tag inside, a man from the 1st Cavalry Division! Rugged? Yes, but not the ideal machine for long-term use. And just a minor point of interest, M4 carbines were not used in WWII. M1 Carbines were, but the M4 wasn’t introduced until 1995ish. M14, uses the NATO round, Heavy, 10x better than the M16, a piece of junk. All for death, terrible inventions. 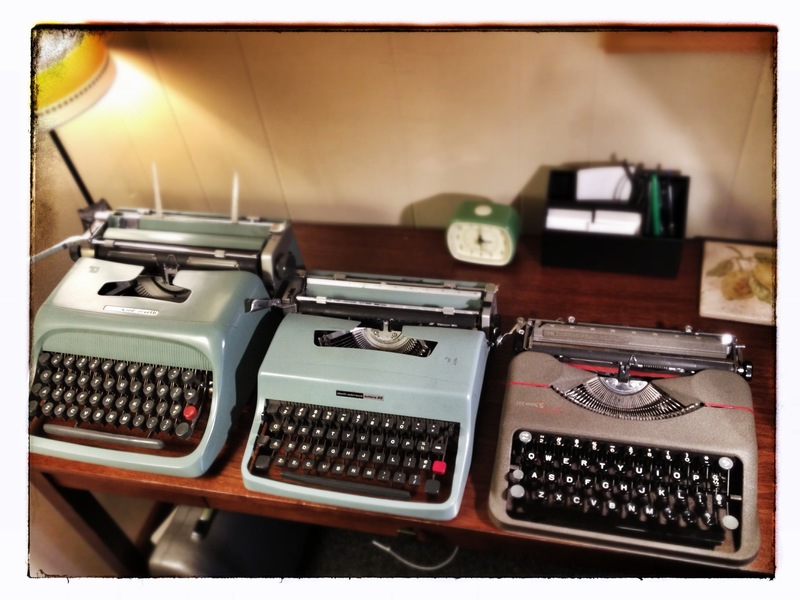 Typewriters are much better.